Our educational work takes different forms, from our Share the Road public education campaign, to professional workshops, a biennial statewide summit, and bike education classes. Visit our Events page for upcoming education events. Bike Walk Connecticut’s education plan is about teaching both adults and children safe cycling skills (on-bike & in classroom) and helping people understand how to share the road responsibly. This plan is implemented via community outreach events, and classes are taught by Bike Walk CT staff, certified League Cycling Instructors (LCI), and with the assistance of volunteers. The following events represent some of the educational opportunities planned in 2019. Additional classes may be available upon request. Although specific 2019 pedestrian-focused events are not yet scheduled, Bike Walk CT does focus on the pedestrian as an important component of our 2019 advocacy priorities. 4 days of 90-minute classes, 3 classes per day, student groups of 20-25 per class. League Cycling Instructors & PE teachers working side-by-side to teach students. This 8-hour workshop will familiarize PE teachers with the 4th grade elementary school bicycle education curriculum, and prepare them to work together with League Cycling Instructors to teach elementary school students on-bike skills and also in-classroom bicycle education. This 8-hour Smart Cycling (Traffic Skills 101) workshop is designed to help new and experienced cyclists develop confidence and competence. Students will have instruction about choosing a bicycle, basic parts of a bike, essential equipment, as well as how to safely and comfortably ride your bike in various traffic conditions, terrain and climates. This class is also a prerequisite for attending the League Cycling Instructor Seminar. 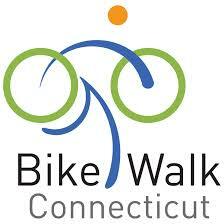 Bike Walk CT offers this workshop to the general public, as well as LCI candidates. instruction/demonstration methods. Graduates gain competence in facilitating the Smart Cycling curriculum, both in the classroom and on-bike. provides bicycles and instruction in a casual and fun environment to sharpen skills on-bike and help the public become more knowledgeable about how to cycle responsibly. Outreach events encourage people to cycle for social fun, as part of their daily lives, recreation, exercise, and all the other benefits. In 2019, Bike Walk CT will promote Bike To Work state-wide on National Bike To Work day. Also, Discover Connecticut tours are planned in Falls Village and in New Britain.